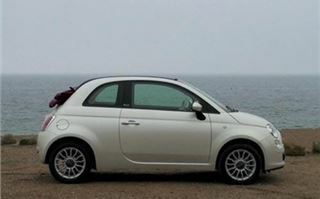 Last January, as 360,000 people have done since, I liked the FIAT 500 so much I bought one. And my little car has been a stylish standby. It didn’t do much work during its first year because I had a long-term test car and scores more cars to drive. But, with the long-termer long gone, over the last month alone my 500 has clocked up around 1,000 business miles. And it still looks as cute and as fresh as the day I bought it. However, over the past year there have been several developments in Cinquecentoland. First, FIAT started building them for Ford, with a slightly different shaped body and suspension sorted out by Ford’s chassis engineers who, by using softer rear springs and adding an anti-roll bar to the rear twist-beam, made it both ride and handle better. So naturally, when FIAT shoehorned a 135PS turbo 1.4 engine into the 500 and called it the 500 Abarth, they adopted Ford’s ideas and tweaked them a bit further. Consequently, on standard 16” wheels and rubber, the 500 Abarth is a completely different car to drive from my FIAT 500 1.2 Lounge. It has meaty steering through which you can feel the front tyres squirm instead of feeling almost nothing. And instead of lifting a rear wheel and bouncing round corners, the Abarth not only stays tied down but also rides more comfortably. Be patient because I’m getting there. All this is very relevant to the new FIAT 500C. Apart from looking terrific, for a stiff £3,000 extra, FIAT offers you a three position electric roll-back roof, standard ESP across the range, aircon in ‘Pop’ versions (which would otherwise be a £500 extra), climate control, fog lights and rear parking sensors in Lounge versions, and vastly improved handling. When I first took the car out I noticed this immediately. Nice, touchy-feely steering. Not as connected as the Abarth, but a huge improvement over my car and also better than the Ford Ka. And the back end stays nicely down, rear wheels stay on the road instead of doing doggy impressions. 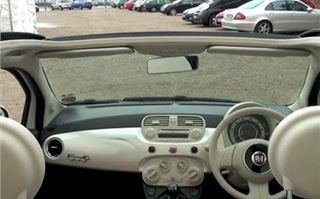 The car is as fun to drive as an original BMW MINI Cooper. All on one fitted with standard 15” 185/55 tyres. So when we stopped I had a crawl around underneath and found, as I suspected, an anti roll bar inside the rear twist beam. Not only that, some very different looking dampers inside the rear springs. 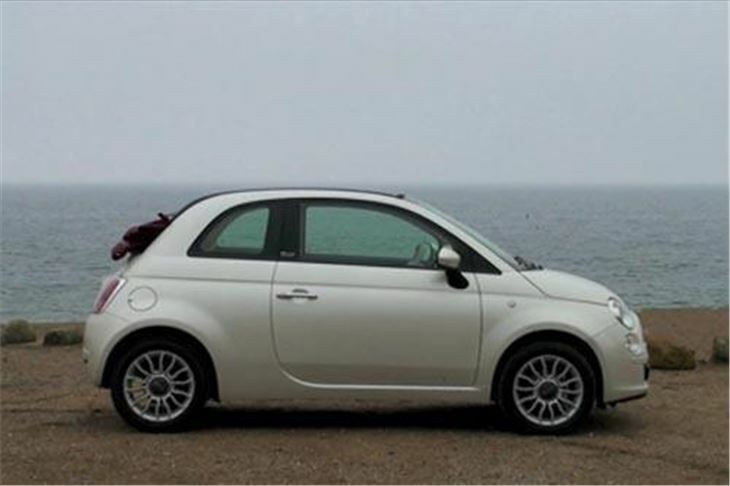 It’s all apparently coming to the 2010 model year FIAT 500 as well. So, at last, all FIAT 500s will handle as delightfully as they look. It turned out that my test car had the 1,248cc Multijet diesel under is bonnet. 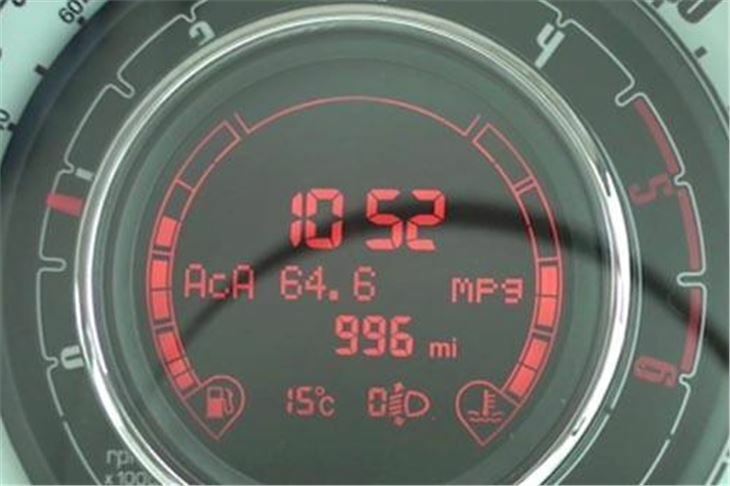 On the launch back in January 2008, I’d got around 56mpg out of a tintop 500 Multijet. 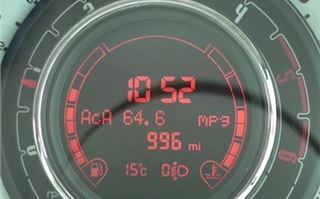 But, after 60 miles in the 500C I’d managed 64.6mpg. And that was without even trying. The car I drove converted me to the Multijet because it has torque where the 1.2 doesn’t. (My 1.2 finds every motorway incline and can slow to a 55mph crawl.) And it’s fast enough. Where I fear the Abarth might lead me astray, I’d be perfectly happy with the combination of grunt and handling the Multijet provides on its new suspenders. The other small benefit of the diesel is that now our friends at the Treasury have lowered the bar for 100% first year tax write down to 110g/km CO2, the diesel comes in at 110. 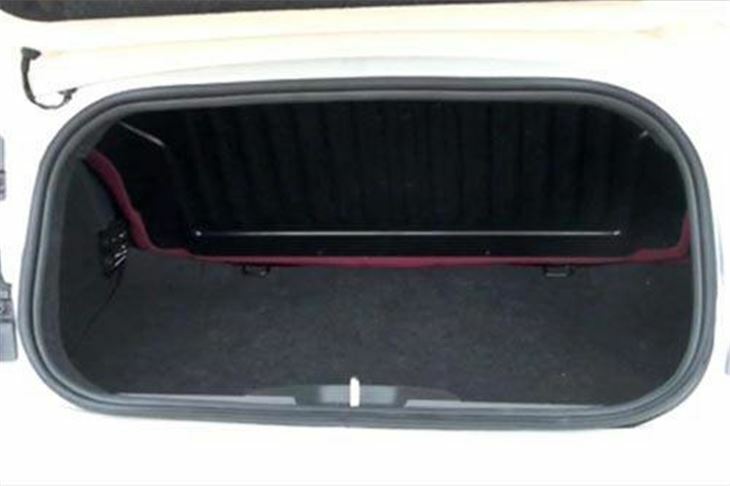 Cleverly, you don’t lose too much bootspace. 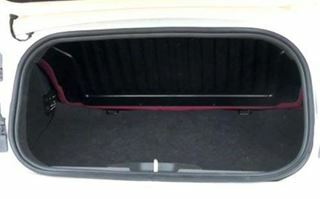 It’s still 185 litres, which is only marginally less than a 500 hatchback’s and is usefully square-shaped. 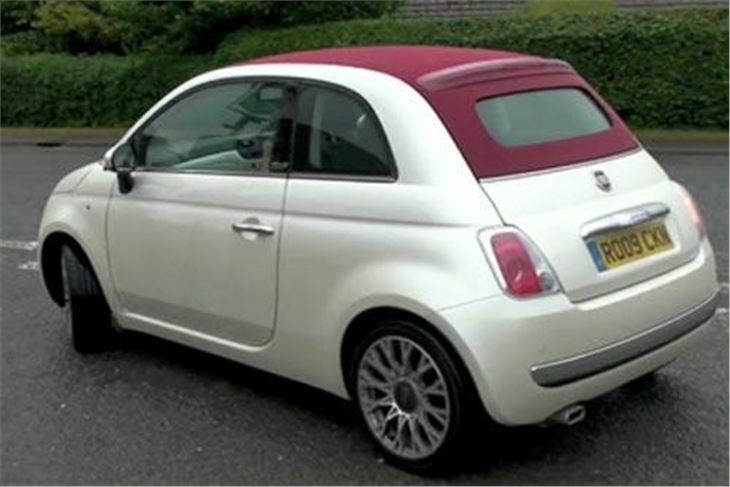 And you can still personalise your car with a range of exterior, interior and roof colours, including metallic gray with an ivory top that looks almost too posh for a 500. The most successful combinations are pearl white with a red top, red with an ivory top and black with a red or ivory top. 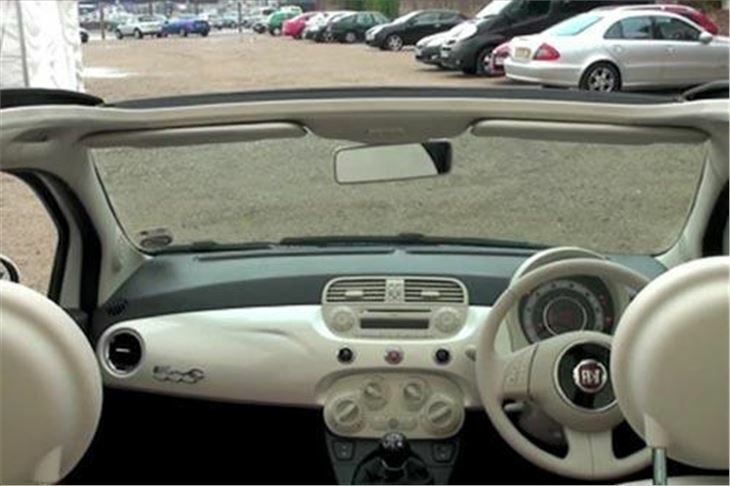 At first I’d thought, £3k extra was way over the top for a roll-top. But the car’s worth it. When the hatchback gets ESP and the suspension improvements it’s going to be an extra £500 to £750 anyway. 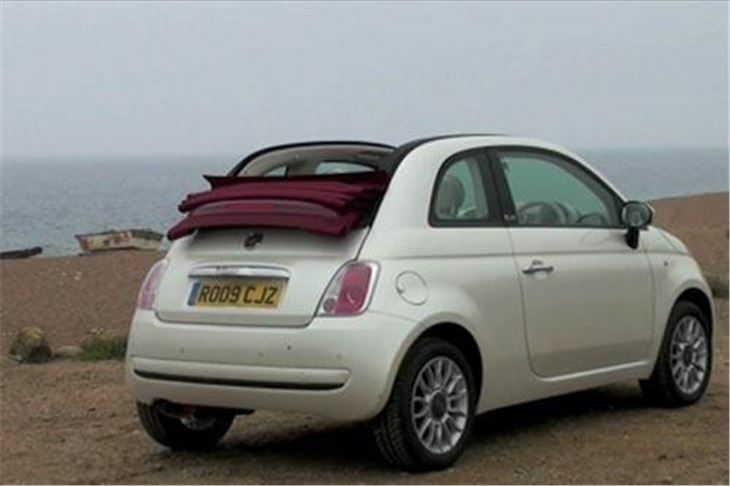 And even the top version 500C is still nearly £2,000 cheaper than the most basic MINI Cooper convertible. 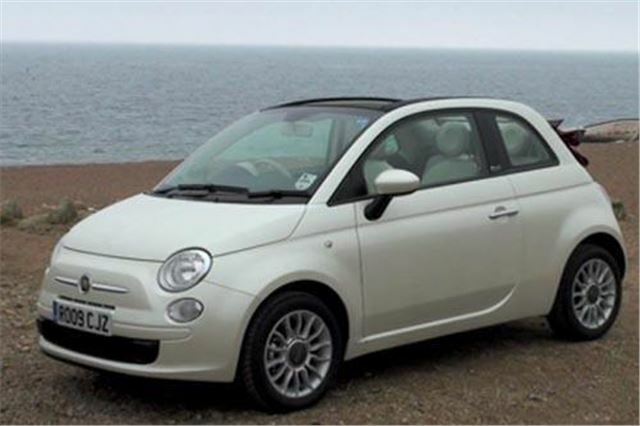 And, of course, if you buy a FIAT these days you’re buying a successful marque. 500s are being seen alongside Aston Martins on driveways. The bad dealers have been rooted out (31 sacked, 28 new ones), And FIAT is well on its way back to between the 5%-6% UK market share it had in the 1970s.